@Jendowoz0612 After Who Wore it Better! Well I should say during, rather than after. I plan on launching any new comps I have towards the end of the previous comp, so probably around the assignment before semi-finals or at semi-finals, that way people who are eliminated or had to drop can look forward to another comp starting sooner rather than later. Just letting you know, although you probably already know, I have closed Bad Boys and Broads and Caught on Candid Camera, and you know who won that . By the way, thank you for your nice words in Candid Camera, they were most appreciated. Hi lovely simmers, I thought this would be a nice way to bring the Simming community spirit together for those that celebrate Christmas. This is not a challenge as such just a fun activity for those of you that want to dabble or enjoy building lots in Sims. If you would like to be part of it, then put your name down in the Kris Kringle thread linked above, by about 9th or 10th of December and join in. It's a lot of fun. I am going to run cycle 3 of Sophisticated Style, pepes, so if you are interested, keep an eye out in the next few days when I put it up. @MizoreYukii Hey, I know that I periodically pop in to say hi. I hope you’re doing well, it’s crazy to think that I was in the community 8 years ago. I was wondering if you wouldn’t mind updating me about where the competitions are being held now. Is it mainly just here or somewhere else as well? Thank you! @ladybug65 Hiii! Dang, ikr? I'm doing good, expecting a baby boy in just a few months! How are you? Haven't seen you and your amazing talent in forever! It was mainly just here until recently. Veeeery long story short, the Discord community (used to be Twitter, they all moved there too) is now where the majority of competitions are being held. You can see a list of recommended competitions on the front page of this thread, including ones here on the forums, located here. These ones were vouched for by others and myself after studying their community for several months (though I'm still unsure about 1). You'll see some others being linked or Discussed in the Discord community, but I'd recommend being cautious entering any others unless it's put on this front page, or unless you don't care. I've already seen several competitions be abandoned (some multiple times by the same person), and others have issues like cheating, face/body plastering (or human parts as they like to say), etc. @MizoreYukii I hope that you're doing well! I have decided to take a break from competing and judging for a few months as I get ready for graduation and finding a career. Can you remove my name from the tag list for now? I hope to be back maybe by this summer . @MizoreYukii Congratulations on your expectant bundle of joy! @wbombje will you be able to finish judging Versace's? Congratulations on your upcoming graduation! @Mamajanaynay Oh, and thank you ! Late reply, but did it when you posted! @wbombje And I'm doing well, thankfully no morning sickness or anything else! @ladybug65 Thank you, and glad you're okay! Good luck on the internships and the rest of college as well! I took a break in my junior year but plan to go back in a year or two. Not gonna waste all that effort! And Who Wore it Better will launch soon everyone. It was all supposed to launch 3 days ago but I have been busy and have a few small things to finalize. I had an oversight on something too so had to think that through, lol. But either way, hoping to get it launched within the next day or so, hopefully with nothing to drag me away! Tag list is updated as usual, and cleaned it out further this time. Also, so many people came back the past few days! Welcome back @kittymeow, @deviouslyvivid, @ladybug65, @ColorMePink and @Penguinwa101!! My competition Discord server is now up! Besides the competitions I will be hosting on there, you can also enjoy games like Mafia (yes, mafia! ), slots, trivia, fishing, RPG, etc. and also enjoy forum games like 'This or That', 'Rate Above Users Avatar', 'Count to 100', etc. Share photos, builds, or other things you enjoy, chat, and hangout! I am also looking for a couple of mods (2 or 3 for now) to keep an eye on the server when I am busy (especially when the baby comes) or sleeping. If you are interested send me a PM. I already have one mod who is not as active, so need at least another who is opposite my time zone (or up late in theirs frequently). Hope to see you guys there! (Discord tutorial discussion below). My Discord Tutorials are now up as well! You can find them in my tutorial thread above my editing tutorials, or linked below. If you have questions or see errors, let me know! I tried to explain the relevant features and everything a new person may need to know. I changed my schedule and will instead be releasing Fashionography towards the middle of WWIB. This is because I had planned to launch about two months ago and I am behind schedule. I don't know what will happen when the baby gets here, and in case I'm barely on for several months I want to squeeze in several comps. This also means I will be slightly more strict regarding extensions and keeping to the assignment schedule, as I want to get things done. Sorry, but giving you a heads up now! I also want to release another competition, The Selection, but by my quick calculations won't be able to fit it in before the baby is born. SO when I do come back, hopefully I'll be straight back after a few days or a week of rest, I will launch The Selection first thing. I just need to make sure everything is finished for launch before then, so wish me luck. And pray my baby doesn't come early, LOL! Who Wore it Better (WWIB) is now taking reserves! You can join here, on Discord, or Twitter. Unlike Sims 3, Sims 4 does not have a color wheel which removes some of the fun and creativity of the original comp, but I believe that this creates a unique challenge and presents a different way for you to be creative. First, you can use any packs when dressing your model as long as the base game clothing I selected is present. Second, since there is no color wheel in S4 you can recolor clothes if you know how to, OR you can find recolors of that outfit from someone else. I don’t see recolors of pack clothes as CC, as long as there is no mesh edit, since it’s similar to how recolors in S3 worked. It is not required for you to recolor and you can just use the base game colors, but it’s an option if you want to. I made sure to choose clothes that had lots of color options for those that can’t recolor. 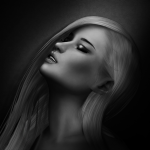 Also, if someone asks for help on how to recolor, please help them by linking tutorials, etc. As for CC in general, you can’t use CC for the clothes, but the makeup, hair, accessories, shoes, etc. can be CC. 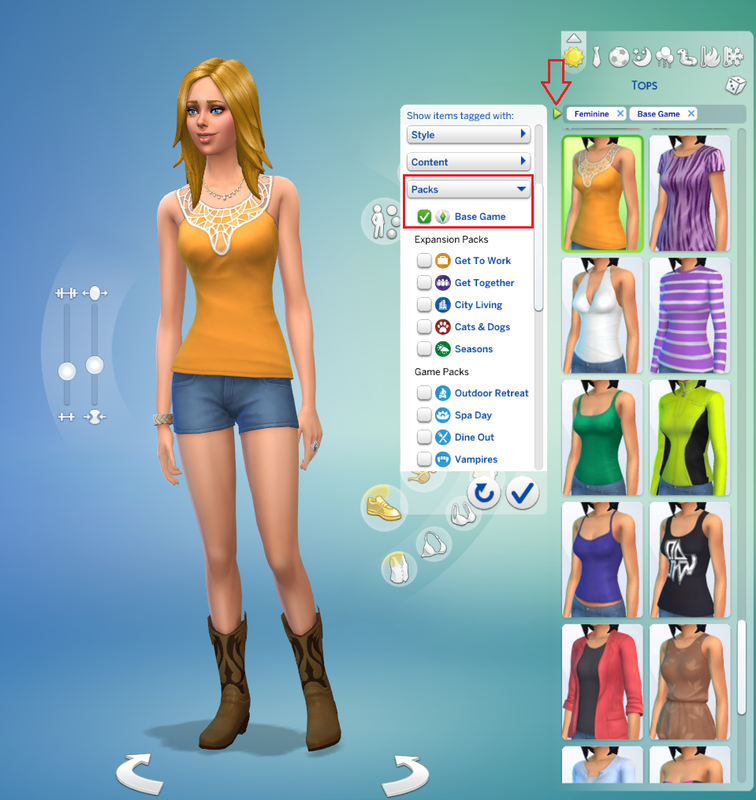 Please make sure to be careful when dressing your model so that you don’t accidentally select CC for the clothes, otherwise there will be a point penalty. @xJojox has opened a new competition! Well I'm back at being your host! It's been FAR too long since i hosted a contest, and I used to love doing this so much as well. One of the main reasons i gave up contesting was my lack of inspiration and possibly my laziness! So i developed this contest to watch contestants focus on their model and having an idea. I think half the battle when making your shot is finding the right background. And sometimes it can be the background hat makes the shot. But we all look at pictures differently and have different inspirations towards our creativity. This contest I will be providing your backgrounds where you will be free to trim, add or edit them as you like. This contest is not about style, or dressing your barbie's or anything like that. It's about being creative with the backgrounds given to you! You will be judged on yours models beauty, your creativity, and how charismatic you are with your presentation. There will be no eliminations whatsoever, you are free to stay through to the end for a cumulative winner. The winners will be announced every round, but cumulative scores will be posted right at the end when a winner is determined. @Jendowoz0612 has opened a new comp! In this cycle of Sophisticated Style, we’ll be looking at Smart Casual wear for women, which still shows elegance but also comfort. It will have quite a range of occasions to match the categories and choice in the accompanying tops, bottoms, etc. •	Aim for a polished yet relaxed look with garments that are elegant and comfortable. •	Tailor your smart casual look to the occasions given in each round. •	Choose between pants, a skirt, tailored shorts or smart jeans to wear as bottoms. •	On top, you may like to try a white button-up for summer or a stylish sweater for winter. •	To wear a smart casual dress, opt for a classic style, such as a shirt or wrap design, in a neutral colour. •	Finish your smart casual look with a blazer and chic yet laid-back accessories. Four competitions have ended and announced the winners! ♥ Congrats to @ColorMePink, @aussiekarima, and @TEXASTWANGTONYA for participating in Bad Boys and Broads and making it to the finale! ♥ Congrats to JuneLy_ts4 (Twitter) for first place in Miss Sims 4 Universe , and congrats to @jilliebee22 for third place (should have been second)! ♥ Congrats to me for first place in Caught on Candid Camera!, and congrats to @MyFavoritedesign for second and @ColorMePink for third! ♥ Congrats to @gardenGothic for first place in Fashion Plate, and congrats to @kyky for second and @MyFavoritedesign for third! ♥ Congrats to @abelhinha35 for first place in Make Me a Super Model, and congrats to @TEXASTWANGTONYA for second and Will (Twitter) for third! I'm still in need of at least one more mod for my server. Let me know if you want to be one! A new screenshot method for bigger sims has been discovered! NO MORE SLAPPING TOGETHER MULTIPLE IMAGES! 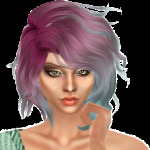 *Throws party* You can see a tutorial and receive download links from here. I will be covering this in my "Bigger Sims" tutorial as well, this way you have two options when editing. I highly recommend this new one though, it saves a lot of time and is easier to accomplish. It can be used with layer mask cutting too! Fashionography will be launching sometime in early March (probably on the 4th). I will be working on getting that up soon so advertising can start. @jilliebee22 has started Season 2 of Bare! Applications have started and end February 28th. Welcome back to the Second Season of Bare! A competition that encourages taking off your pants and just hanging out on set. This season we are bringing back big hair, bright colours & lots of fun to a lingerie shoot! There will be 8 rounds with 6 days for you to complete! You will each be given two emergency extensions, so use them wisely! If you ask for one but end up not needing it, don't worry, it won't count. You may enter up to two models. Fairest of Them All Season 5 will be starting on February 17th! This season is all about magic and powers! Here are the links to check out the first cycle of these competitions, so you can have a look at each one. Of course they will vary and be updated and won't necessarily be run exactly the same way. The Talkin' Teenagers' link was in the Australian site, but it is a beginner's fashion comp with teenagers in different situations, such as country kids, street kids, rich kids etc. Keep the votes coming in pepes, it's going well. Voted Sophisticated Male. We need more male comps! And I had so much fun with Manly Man. Hey guys, sorry for the tag! But after careful consideration I've decided to push Fashionography's launch date (and consequently Muse, etc.) till the end of WWIB, around Assignment 7/8 (most likely 8) instead of this week. There are far too many comps going right now (well it doesn't look so here, but across all platforms there is) and due to Fashionography's challenging nature I'm afraid there either won't be enough signups, or people will drop too early despite how short it is. There is also the fact that I'm swamped each week with stuff to do. Between my appointments (which just increased in frequency), family time, judging/hosting (I'm judging 5 comps), FOCUS, and the other stuff I try to squeeze in (modding, Sims Editing Workshop, etc. ), I simply don't have much time for myself, and haven't even had the time to reply to conversations (I'm sorry!). So by the time Assignment 8 rolls around for WWIB, things should be calm enough on my end and the communities end that launching Fashionography won't be a hassle and will go well (eliminations from other comps and all that). Sorry to anyone who wanted the comp up immediately! It's still coming, just pushed back a few more weeks is all. Also, don't forget to vote in Jen's poll! No Problems, Mizzie, I understand and realised you are judging a lot of comps right now. I'm really looking forward to Fashionography but I'm happy to wait.